Designed for Z-Scale Narrow Bodied diesel locomotives. This is a full 1 amp decoder that is less then 7mm wide. 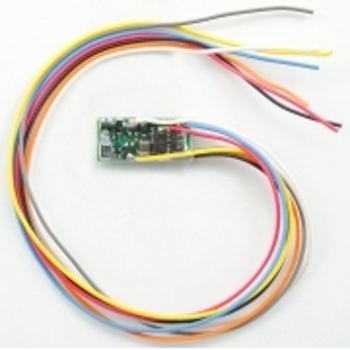 This decoder can be used in all Z and N scale locomotives as well as small HO locomotives.